According to Harvard Business Review (HBR 2017), billions of dollars are being invested in blockchain technology, and some of the smartest people on the planet are engaged in understanding how this technology can reinvent organizations and industries. A report from PriceWaterhouse Coopers (PwC 2017) has named blockchain as a ‘tech breakthrough megatrend’ for CIOs, whilst Gartner (2016) has named it as one of the top 10 strategic technologies for 2017. The potential impact of blockchain is driving businesses to rethink existing business models, re-examine opportunities previously thought non-viable, and explore a new frontier of opportunity that can impact the bottom line and benefit society. The mining industry plays a key role in the global economy, with metals and minerals being a key ingredient for the manufacturing, industrial and consumer goods sectors. Mining businesses are currently exposed to a wide array of geo-political, social, financial and brand risk; within their value chain and beyond. There is currently much uncertainty in understanding the fundamental concepts of blockchain and more particularly its application in the Mining industry. It would therefore be useful to shed light on key areas where blockchain can be used to help address the typical challenges across the mining value chain, to help unlock value for mining companies. Recent disclosures by Tesla and Hewlett-Packard to the United States’ Securities & Exchange Commission (SEC) in 2015 indicate that they found difficulties in tracking conflict materials which could be linked to obtaining minerals from select African nations. This is driving a new wave of rules and legislation making it mandatory for manufacturer’s to not only disclose the source, but importantly reinforce the concept of ethical sourcing. This makes the concept of ‘chain of custody’ fundamental to transparency across the value chain. Simply put, it is the knowledge of every set of hands the minerals have passed through, between the moment it is extracted, to when it lands in the hands of the final owner. Complete knowledge of the chain of custody is the only way that Tesla or Hewlett-Packard can ensure they are compliant with SEC guidelines. If you think about the journey of a diamond, from when it’s mined, sorted and sold, to when it is mounted and displayed at a trusted retailer, say Tiffany’s or Harrods, there is so much opportunity to exchange a valid diamond for something of different provenance, like a blood or conflict diamond. Using the blockchain, each step of the production process can be verified, guaranteeing the legitimacy of a diamond. A London-based company called Everledger has placed more than 1.6 million diamonds on a blockchain. 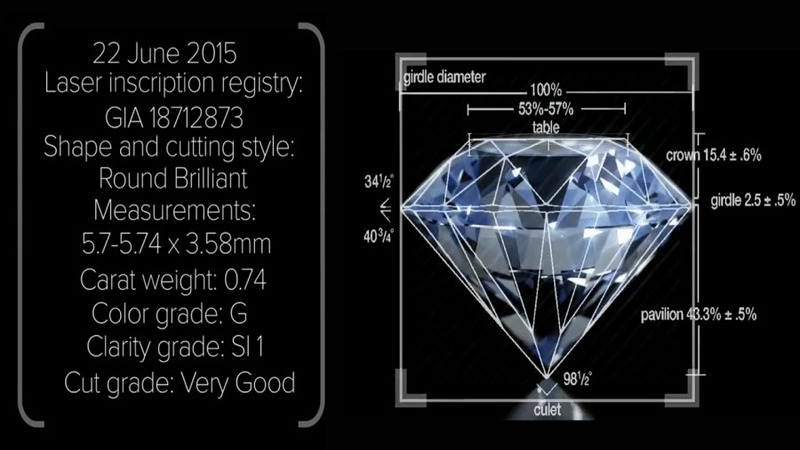 Entries on the digital record include dozens of attributes for each diamond, including the color, carat, and certificate number, which can be inscribed by laser on the crown or girdle of the stone. 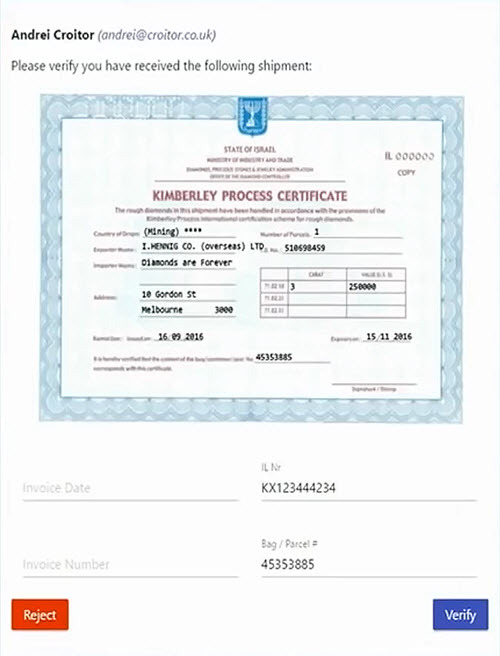 The technology enabled diamond suppliers (and intermediaries like border agents) to replace a paper certification process with a blockchain ledger. The process involves using computer scanning tools to access what Everledger calls a “digital vault” and to determine the provenance of any diamond. Whilst Everledger is focusing on industrial supply chains, the company hopes to adapt its technology for retail and consumer use by 2018, meaning that a Tiffany & Co. shopper might one day be able to use a smartphone to determine a gem’s provenance. Mining companies often acquire ore from third parties to blend with their own ore. Blockchain can allow the automation of ore acquisition and transfer between ore suppliers and the main company, and between major ore producers and traders. When a mining company makes a discovery or invention, it is important to prove the precedence over several others claiming the patent. Similarly, miners need to officially register mining rights – the first one to arrive gets the prize. It is possible to have a blockchain enabled automatic registering process that replaces the rush to the government mineral rights department for registering a finding. Ports receive ore from several different sources and owners. 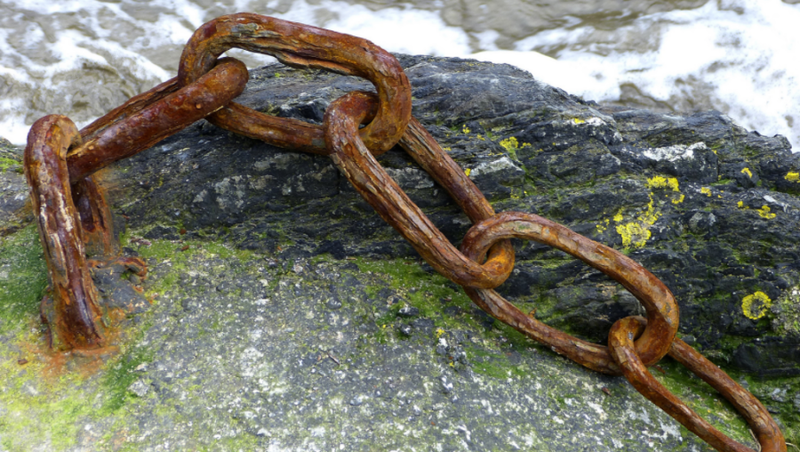 Blockchain can be used to declare and provide visibility for all the reception of ore. As soon as the train is discharged in the car dumpers, or trucks are unloaded, the total amount of ore received is credited to the sender, the ore location and inventory in the yard is shown in real time, and outbound operations are registered for every ship’s loading operations. The ore owners will always have accountability over their port operations. Ports need to hire ships for ore transportation for which they need to stablish a contract with the ship owner. Each port has a list of ships that are allowed to serve it, based on ship type, size/tonnage, ship draft, specialization for ore transportation, and conservation state. Blockchain can bring more flexibility to the freight hiring process and create an Uber-like cargo automatic hiring process. Specialized systems could hire the ship automatically and register the contract in a distributed ledger system automatically. This can reduce freight costs significantly and save significant time in the process to reduce contract lead time from days to minutes. Miners could use blockchain to more efficiently process the rapidly growing amounts of data being generated by connected devices. With the advent of Autonomous Peer-to-Peer Telemetry (ADEPT) systems that essentially enable a kind of self-managing IoT, ADEPT systems could, for example, enable autonomous vehicles to reorder consumable stock when supplies run low, with payments made automatically upon delivery. Mining companies often find it difficult to reconcile the amount produced in the mines and transferred to the processing plants. When coupled with precise measurement processes and technologies, blockchain can automate and enforce this reconciliation such that each value is registered in the ledger book automatically. Blockchain could be used to simplify cross-border payments and regulatory compliance by reducing the industry’s reliance on centralized payment systems operated by banks. Removing intermediaries from the process could speed up transactions and increase transparency across the supply chain. Data collection of exploration samples is a tedious and exhausting task. With multiple stakeholders involved, integrity and authenticity of information such as wellbore sample information and lab analysis reports, exploration data becomes challenging. This information which is typically shared on emails & database in form of spreadsheets, graphs and other formats, are prone to alteration and manipulation. Mining companies are big consumers of fuel; mainly diesel, electrical energy, tires, reagents, consumables, spare parts and other products. Blockchain allows the automation of procurement of those items, using auction engines, leveraging their negotiating capabilities with the market and allowing opportunistic purchase strategies. Contacts are established and registered automatically. Miners could also use blockchain to host smart contracts to execute contracts automatically across multiple jurisdictions. By automating the process, such smart contracts could also help reduce license-to-operate risks in developing countries. Settlements and accounting in complex joint ventures can be an expensive affair, and ensuring transparency is a challenge. Blockchain can automate the whole process through smart contracts and ensure that the records are tamper proof. Miners are often two steps removed from their end customers with traders and bankers serving as intermediaries in the relationship. Blockchain can enable trading marketplaces for ore or energy, where regulators, miners and their customers can trade directly without the necessary involvement of intermediaries. This can provide miners real-time information on demand allowing them to respond accordingly and reduce the costs of intermediation. Australia’s biggest mining company, BHP, has already started using blockchain technology to improve its supply chain processes. BHP will record movements of wellbore rock and fluid samples and secure real- time data generated during delivery using blockchain. Previously BHP was using spreadsheets to try to track this information. The new blockchain platform will allow BHP to share data with its vendors allowing it to work more effectively with them and driving internal efficiencies. More radically, blockchain could be employed to transform the identification, trading, and management of ore bodies. For example, a gold mining company could identify its ore body and subdivide it into smaller parts, say one cubic meter segments. This information, verified by a trusted on-ground third party, would be recorded in a blockchain as a cryptographic token. The blockchain record would enable anyone to trace ownership as well as the specific geographic location of the ore beneath the earth’s surface. It could also link to a physical tag that detects if the ore body is physically moved or otherwise disturbed and communicates that information to a third party on the blockchain that can notify the ore’s owners or even law enforcement. Once tokenized, the geo-tagged cubic meter could then be sold and further traded on a marketplace enabled by the very same blockchain that houses that token. In effect, this blockchain will have enabled the creation of not only a data-secure, monitorable record of unmined ore, but liquidity and a market for that ore. Actual mine product could be traded without actually being mined, taking advantage of movements in commodity prices and future improvements in extraction techniques. Blockchains are still a rapidly evolving technology, with ongoing developments especially to improve scalability and confidentiality. Globally, governments, enterprises, and startups are exploring the technology/market fit in a wide variety of use cases and for a wide variety of requirements and regulatory demands. There is still much that is unknown about the development of trustworthy blockchain-based systems. Further research is required to improve our knowledge about how to create blockchain-based systems that work, and how to create evidence that blockchain-based systems will work as required.